Let us help define your marketing message and ensure it is delivered to the right people at the right time. 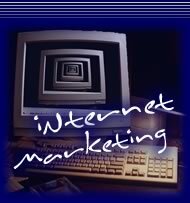 In today's economy and business market it's crucial to utilize the Internet as a part of your marketing strategy. Internet marketing is a very affordable means of advertising as compared to other means of attracting new business. There are over 30 million people on the web today. More than 75% of these people use search engines to find businesses like yours. Search engines are a key factor in providing visibility to your products or services. We employ the use of link exchanges with other well-to-do web sites. This will do more that just attract business from the other sites. Link exchanges also improve your link popularity which the search engines use to rank your site. We will create your banner and manage your on-line advertising campaign. We'll have you banner placed on to nationally known web sites so you're products or services receive maximum exposure. Web site design and promotion services by Advantlink Enterprises, Inc. will provide your business with the Internet exposure you need to claim your share of the market. Advantlink is dedicated to providing the highest standards of web site design and promotion services at a competitive price. Our personal service and attention to detail is second to none. Call or E-Mail us today. Advantlink has mastered the formula for success on the Web.